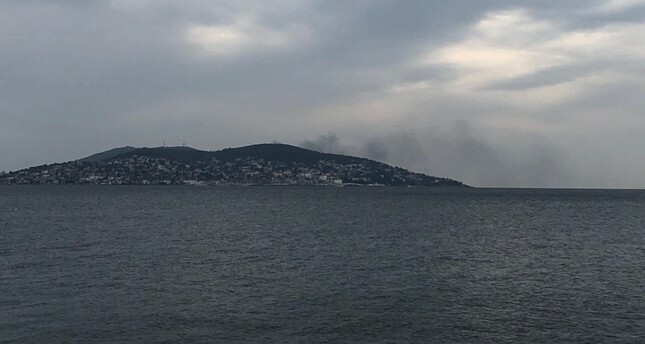 A fire broke out in Büyükada, the largest of the Princes' Islands off the coast of Istanbul, on Tuesday. The fire broke out in stables and grew in a short time as the flames spread to the forested area of the island. Many firefighters have been immediately dispatched to the area and the intervention of the teams continues. The cause of the fire has not been specified yet, reports said. Büyükada is part of the islands, commonly known as Princes' Islands which are located in the northeastern part of the Marmara Sea off the southern shores of Istanbul's Asian side. The islands consist of four main islands, three smaller islands and two islets near the shore.